Obituary for Robert W. "Bob" Grimes | Knight-Confer Funeral Home, Inc.
Robert W. "Bob" Grimes, 77, of Williamsport, died Saturday, March 23, 2019, at UPMC Shadyside, Pittsburgh. Surviving is his loving wife of 47 years, Margaret J. "Peggy" (Lucas) Grimes. Born June 22, 1941, in Williamsport, he was a son of the late Harold E. and June Ruth Louise "Kitty" (Johnson) Grimes. Bob worked in road construction for G.A. & F.C. Wagman for over 20 years. Most recently he worked as a transporter for UPMC Susquehanna, Williamsport for 10 years. He had also worked for Diehl Toyota transporting cars and Lycoming Supply. Bob was an avid hunter and a member of the Skipper's Lodge. He enjoyed tinkering and yard work. Most of all, he loved working out in his barn. Surviving in addition to his wife are two sons, Robert W. Grimes (Deneen), of Montoursville, and Jason M. Grimes (Shannon Rand-Hennel), of Mount Wolf; a daughter, Holly C. Henderson (Thomas Anderson), of Williamsport; seven grandchildren, Bill Grimes, Caitlyn Grimes, Alyssa Eckert, Brandon Eckert, Kelcee Grimes, Austin Henderson and Dylan Grimes, two great-grandchildren; Eli Grimes and Niko Wolf; a brother, Harold "Junior" Grimes (Leta), of Williamsport; a sister; Dixie Brandt, of Jersey Shore; and in-laws, Wayne Lucas, of Montoursville; Edie and Miles Long, of Montoursville; Carol and John Stone, of Cogan Station; and Butch Brandt, of Jersey Shore. 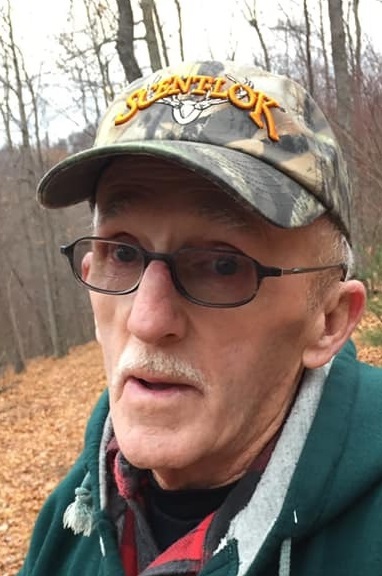 A memorial service to honor the life of Bob will be held 1 p.m. Saturday, March 30 at Trinity United Methodist Church, 1971 Lycoming Creek Road, Williamsport, with the Rev. Robert E. Stump officiating. The family will receive friends from noon until the time of service at Trinity United Methodist Church. Memorial contributions may be made in Bob's name to the American Cancer Society, 1948 E. Third St., Williamsport, PA 17701.